Municipal water and wastewater treatment is a specialized and involved process that focuses on keeping communities healthy and safe. Feel free to download and share, with attribution. 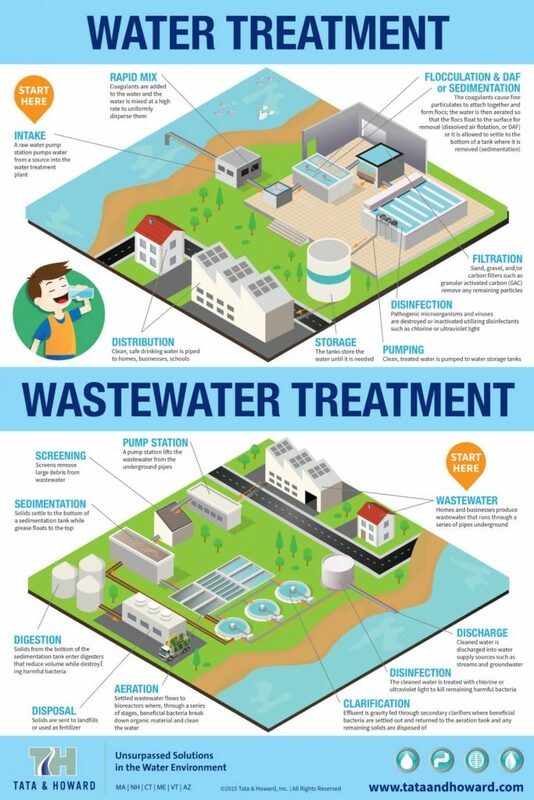 For a printable, high resolution version of the water and wastewater treatment infographic, please click here. 2- Tertiary treatment ( sand filtration and A.C filters ). 3- sometimes Ph control unit is required at the headworks. WTW (Waste to Water) rapidly decomposes all food waste into a nutrient rich liquid suitable for discharge into public waste water disposal systems. The MADE IN INDIA processing units and microorganisms are the first self-contained food waste elimination system designed to fit seamlessly in any commercial kitchen, supermarket, hotel, restaurant, and resort or food distribution application.